Three and half years ago Erica and I moved to Santa Rosa, Ca with our little dog Cooper. We moved for a few reasons. 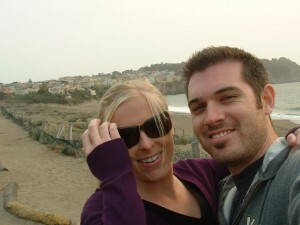 A picture we took while visiting San Francisco 6 months before we moved to Santa Rosa, Ca. I was coming out of a difficult situation and wounded. We knew we needed to get out of town [Fresno/Clovis] to rebuild. I knew I needed to learn from someone [Andy] who was working in the North Point model. We knew that one day we would plant a church. We did not know where. We did not know how long we would be at New Vintage Church. Three and half years later we’re making the jump. We’ve seen incredible moments of life-change. We’ve been inspired by the stories of people like Chloe, Dennis, Heather, Donna, Jessica, Laura, and Jerry (to name a few). But the story to put us over the edge was Lori. We are so grateful to being a part of a place like New Vintage, where people like Lori can come from a completely Atheist background, walk in our doors, find a relationship with Jesus and be completely changed by the power of the Holy Spirit. 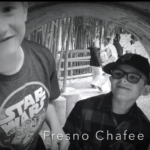 But when we watched her baptism video, all we could think of were the people in Fresno/Clovis that we love. It’s PEOPLE… as in specific NAMES. So, Erica, Josiah, Baby Foster and myself are moving back to our hometown. I realize there are probably tons of questions and I’ll be blogging about this adventure frequently. P.S. Here’s a little post about when we moved to NVC and why.